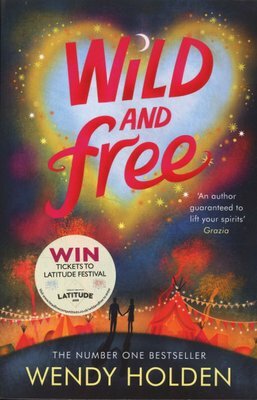 Wild and Free by Sunday Times bestselling author Wendy Holden sees the author of Bad Heir Day and The Wives of Bath at the top of her game. Fun for fans of Jane Costello and Carole Matthews. 'Super-sharp ... This hugely entertaining novel is chick lit at its best!' Closer Wild & Free is the festival du jour. Everyone piles through its gates - and Cupid lies in wait to sprinkle a little midsummer madness on them all. 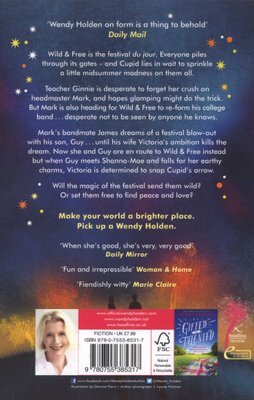 Teacher Ginnie is desperate to forget her crush on headmaster Mark, and hopes glamping might do the trick. But Mark is also heading for Wild & Free to reform his college band ... desperate not to be seen by anyone he knows. Mark's bandmate James dreams of a festival blow-out with his son, Guy ... until his wife Victoria's ambition kills the dream. Now she and Guy are en route to Wild & Free instead but when Guy meets Shanna-Mae and falls for her earthy charms, Victoria is determined to snap Cupid's arrow. Will the magic of the festival send them wild? Or set them free to find peace and love?